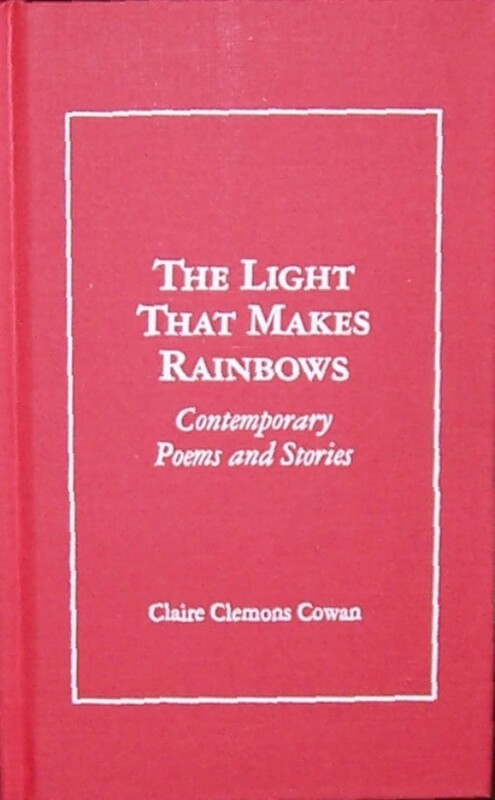 When Claire Clemons Cowan asked me to write the foreword to this book, I nearly begged off. Generally, publishers are more down-to-earth businessmen than floatees in the rarified atmosphere of such literary currents as are presented here. But after reading Mrs. Cowan's manuscript I readily accepted the charge. Publishers of poetry see a lot of versifying, of all stripes. Rarely, though, does a body of work draw you in and hold you so tightly as does the subtle content of this book. The author has got you, and she intends to keep you. Fortitude! Break away! . . . But you'll be back. Claire's poetry, some right in front of your face and some a bit distant, will make you chuckle, sigh, stare at the page with squinted eyes, and experience a host of other reactions. Well done. You'll note that the story Shock, on page 77, eerily echos present-day Syria, though written some years ago. This author has a gift of seeing and another of making the reader see. I am sure you will enjoy reading these pieces as much as I did. Different book, the man said, puck in hand. The man took his wife's hand and smiled.